Waterfront is an exhibition and multimedia experience for all ages that brings to life the vibrant history of Brooklyn’s coastline through stories of workers, artists, industries, activists, families, neighborhoods, and ecosystems. 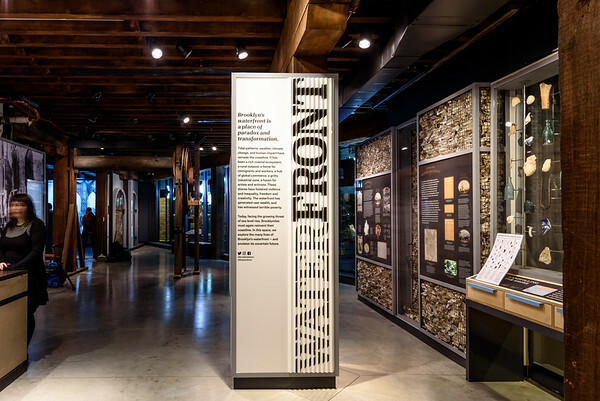 Waterfront traces a personal, local history of the borough’s waterfront while also revealing the coastline’s global significance. The exhibition engages with important debates about the shoreline’s future by taking on the waterfront’s most pressing contemporary topics including sea level rise and gentrification.